This guest blog is a companion to the Voice America interview: Democracy on the Run: How Strong and Capable Leaders Can Impact Listen Now. The interview was recorded as part of the International Leadership Association conference series. The blog is reproduced and shared with permission by mastersincommunication.org. Leaders and citizens need accurate and unbiased information to act responsibly. As citizens, we must develop an understanding of events unfolding in our environment and determine how we will engage. Voting is obviously one major action that requires comprehensive and unbiased information. By the same note, leaders, those responsible for setting their organizational course, revising direction and engaging with employees to drive toward results must have accurate, complete and unbiased information. In an era where leaders have access to more information, it has become harder to know where to look to find accurate, complete and unbiased information. For this, we must turn to the field of journalism and we must take responsibility for being well informed. The people we lead, and all of our stakeholders rely on us to make well informed decisions. The information we need comes from journalists! Today’s journalism is a far cry from what it used to be. In the past, you received the majority of your news and information from your local newspaper published every morning. If you didn’t get it there, you watched the evening news after dinner. Add in a few national newspapers, and that was it. Today, relying on only one source to receive all of your news and information seems unheard of. Newspapers are still around today, but we have so much more to go along with them. We don’t have to wait an entire day for our news anymore – we wait mere seconds. Now we see the news as it’s happening instead of getting recaps of it the next day. With the rise of the internet and the 24/7 news station, we have an abundance of news sources directly at our fingertips. Journalism as a whole has changed in response. Instead of having time to fact check, journalists are urged to be the first to break the story. This rush to first often leads to misinformation being published, causing confusing and sometimes outrage. What used to be a cardinal sin is now less of an issue because being the first to hit publish is such a priority. Let’s take a look at what journalism is today, and some of the people changing it. Journalism is the act of gathering, assessing, creating, and presenting news and information. It is also the product of these activities. Journalism is the product of every newspaper you read, every news station you watch, and every news article you read online. Journalism is meant to place the public good above all else and uses specific methods to gather and assess information. In other words, journalism is meant to benefit the people, and journalists should routinely check what they’re reporting on to be sure the information is verified and accurate. Another side effect of the internet and the amount of data at our fingertips is the rise of data journalism. Data journalism is the use of data and number crunching to uncover, better explain, or provide context to a news story. Data can be the tool used to tell a story, the source upon which a story is based, or both at the same time. It often involves the use of statistics, charts, and infographics. Data journalism has become important because, in today’s world, anyone with a smartphone and social media account can be a journalist. Multiple sources add information over social media, blogs, and videos as the news story is happening. It’s an information overload, and opinion often clouds facts. The goal of data journalism is to be the one who provides context to an event and aims to explain what it really means. An excellent example of data journalism is a story ProPublica published about animal extinction across the globe. Using data from recent biology studies, they found that today’s extinction rates rival those during the mass extinction event that wiped out the dinosaurs 65 million years ago. At the risk of beating a dead horse, the open web has changed everything. The way we consume data will never be the same. Data used to come in a fixed, complete form. Books, newspapers, and documentaries. When you received it, it was finished and in its final form. With digital news in the open web, your news source is almost a living, breathing thing. It is always changing, always evolving, and continuously being developed. That blog post you just read could be edited and revised several times over. There is information everywhere that people consume anytime they want. They don’t need to go to the store to buy a book or a newspaper anymore. All they have to do is reach into their pocket and enter a quick Google search, and they’ll discover a wealth of knowledge on the subject. Today’s journalists face a new set of challenges. They’re no longer the runaway experts in the fields they write in. Today, their readers may be smarter, and better informed than they are. Now if you don’t listen to them, work with them, work for them, give them what they want and need, they’ll go somewhere else. And there are plenty of other places they can go. Even with the rise of the internet, 24/7 news stations, social media, and smartphones, something is missing from today’s journalism. We’re more connected to the news that we’ve ever been. News companies have journalists working around the clock that can push us a story as it happens, no matter when it happens. We’re more informed than we’ve ever been, and we have limitless choices of where we want to consume our news. So, what are we missing? The answer is simple. The one thing journalists don’t have on their side anymore is time. They have to be first. They have to be fast. They don’t have time anymore to become deeply engrossed in their stories. They don’t have time to learn and ponder on their stories. They rely on quotes from other experts to shape their stories. True investigative journalism is an art that is slowly fading. One of the main reasons is the money isn’t there for it anymore. Doing a real investigative piece takes a lot of time, which in turn takes a lot of money. The ad revenue they’d earn for the story would likely be a small fraction of what it cost to produce it. Because of this, investigative journalism is being replaced by 5-10 blog posts a day that will never have as much substance as an actual investigative piece. Something else that has come with the age of the internet is the rise of “fake news.” Anyone with a computer and internet access has the ability to make their own website and write news stories. However, not everyone is an educated journalist. Your neighbor down the street that starts his own blog isn’t going to follow the same standards that the mainstream journalists follow. I mentioned earlier that journalism is meant to put the public good over everything else. That’s not always the case with the hundreds of blogs that pop up daily. Most people that start those blogs are worried about pushing their own agenda and voicing their opinion. They only use facts that support their cause and ignore the rest. Then they call everything that doesn’t support their opinion or push their cause fake news. When in reality, fake news is everything that isn’t based on fact and data. Anyone can post their opinion, but not everyone can be a journalist. So when the news is so saturated by blogs and websites only worried about what fits in their narrative, how do we know who to trust? How do we separate fact from fiction? We must keep an eye on the source. We need to be sure that the website or blog, or even Twitter account, that we’re getting our news from is only reporting facts without the bias of their opinion. Here is a list of a few large journalism brands that report real facts, not alternative facts. The New York Times – Some consider the New York Times the most influential publication around. The NYT upholds ethical standards of reporting and includes the classic elements of journalism in America. The Wall Street Journal – The Wall Street Journal is the largest circulated newspaper in the US. The WSJ is still the top brand among daily business publications in the entire world. It has won several Pulitzer Prizes for editorials and columns that are backed up by thorough fact-based reporting and bold arguments. The Washington Post – The Washington Post is the paper that brought down Nixon during the Watergate Scandal, and it upholds it’s intellectual traditions today. Under the ownership of Amazon founder Jeff Bezos, the Post is perhaps the most forward-thinking publication of the day while winning Pulitzer Prizes, hiring the best and brightest reporters and producing big scoops. Even with all the fake news and alternative facts that run rampant today, journalism is still critical for ours, and any democracy in the world. We can’t let the bad apples tarnish our opinions of the journalists with integrity that report facts and information. The most important function of journalism is to convey information. This is a critical part of the democratic decision-making system because it brings transparency and makes sure that the decisions being made reflect what the people really want. When people claim that the media is the enemy, they are doing a disservice not only to the real journalists but to the people in their society. Without a free press, the line between fact and fiction will be blurred, opening up a Pandora’s box of problems. While there are problems that need to be fixed, journalism at its core is desperately needed. We’re no longer dependent on a single news source anymore. We have more information available to us than ever before. The freedom we have to access and share news is a fantastic thing, but it also comes with great responsibility. Our access to data and news sources from around the globe is absolutely incredible. The amount of good we can create due to the open web can change the world. But it can also cause hate and divide entire nations. Anyone can post their opinion and call it fact. They can disregard fact and call it fake news. The potential for hostility is just as high as the potential for good. Journalism isn’t the issue. Journalism at its core is the process of spreading news and information. We have to protect journalism and instead go after the entities perverting it. This post is a report from the December 5, 2018 Forbes.com article Authentic Leadership for Peace and Prosperity. It is the companion to the Voice America Interview to air on January 29, 2019 with Dr. Gama Perruci, Dr. Sadhana Warty Hall, and Dr. Karen Ford, Evidence Based Practices for Leadership Development. This interview is particularly important because companies are investing large amounts of money and time to build strong leaders and some programs provide much better returns than others. Programs that teach leaders to be better leaders rather than those that teach leader about leadership provide different results. Programs that offer 1. strong frameworks (including the knowledge of how context and culture play a role in leading and following), 2. teach leaders to become more self-aware, and 3. perform better using the new frameworks and self-awareness provide the highest returns. The interview is part of our partnership with the International Leadership Association to bring you the latest and most relevant leadership information. The following section is from Forbes. I am keenly interested in understanding how leaders progress their business agendas as well as the global agenda in times of significant geopolitical shifts. I attended the International Leadership Association’s conference, Authentic Leadership for Progress, Peace & Prosperity, in West Palm Beach, Florida, where keynote speakers, academics, award recipients and leaders across industries and the globe discussed their perspectives on the subject. This article summarizes my key takeaways. With 39 countries represented at the conference, the focus on the volume, complexity and rate of change in the current climate continued to inform the conversations. So too did the political landscape, particularly the disillusionment with democracy and the move toward populism. The conversation was also impacted by several events happening in the background, such as a bomber delivering 14 bombs to democratic leadersand supporters, who was actually apprehended near West Palm Beach, where the conference was being held. There was also a synagogue shooting in Pittsburgh in the morning of the final day at the conference. These events called to question what more we, as members of an international association, can do to focus on the intersection of leadership, scholarship and practice at a conference that focuses on progress, peace and prosperity. The following themes are based on my discussions with thought leaders around the world and sessions I attended. 1. Leadership certification needs to be a strong consideration. Many professions require certification before performing a job, like realtors, massage therapists, electricians, attorneys and certified public accountants. This is in strong contrast to the number of leaders holding key roles with no education and, in some cases, little experience. While hiring is always complicated, certification can reduce the risk of costly hiring mistakes. Certification is important for leaders who want to stand out by demonstrating their competence. And organizations will have a greater degree of assurance that the person they are hiring is competent based on an objective standard and a rigorous certification process. 2. Leadership is the interplay between the organization’s internal environment and external ecosystem. We train leaders in leadership concepts but don’t address the importance of helping leaders understand how they need to flex their leadership approach based on their context and their followers. The most effective leaders “sense” the needs of their followers and adapt their leadership accordingly. They help followers understand their leadership style and set clear expectations as well take into account their followers‘ styles, so everyone can focus their energy on accomplishing goals. 3. Leaders need new tools to solve highly complex problems. Many of the problems organizations face are emergent, and they may not have faced them before. Therefore, leaders must have the tools to address them. 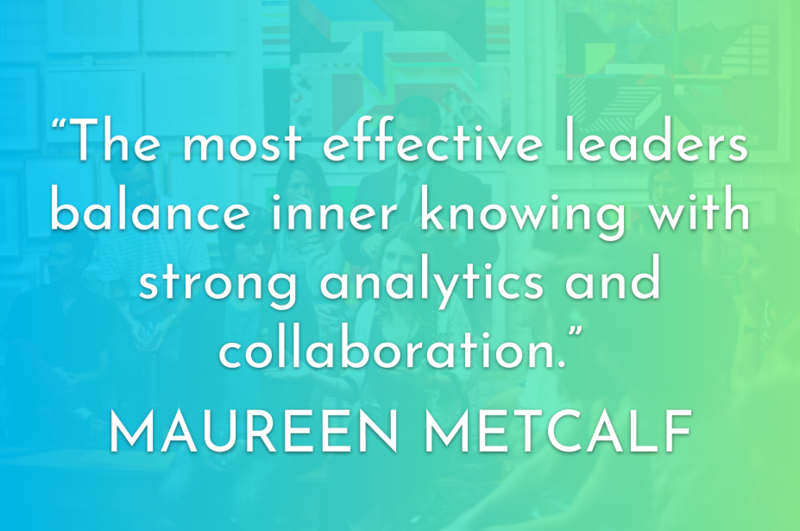 The most effective leaders balance inner knowing with strong analytics and collaboration. 4. Leadership ethics are key. There are questions about leaders learning ethics versus gaining ethics as part of the process of maturing. Are ethics the guidelines people comply with? Is there a call for leaders to develop a strong inner compass that ensures they follow the spirit of ethics as the rules change? I believe it’s important for leaders to have a strong inner sense of both the impact you want to make on the world as well as the “guardrails” you use to accomplish that impact. 5. Leaders operate in an interconnected system and need to consider the broader impact they make. Conference participants were clear about the importance of profit as the fuel for the business and that businesses are among the most powerful institutions across the planet. They are positioned to enact important changes that involve issues such as climate change, for example. During the conference last year, there were many discussions on identifying leadership values. This year, speakers reminded us of the mandate for leaders to live their values and pay attention to how their actions impact their organizations, and by extension, the world. 6. Resilience remains a key concern. It was acknowledged that everyone is now or will soon be impacted by some level of change to their organization, their climate, their community and their government. These changes require that we deliberately tend to the resilience (ability to absorb change and remain highly functional) of our people, our organizations, our communities and our governments. It is important to ensure these have the capacity to metabolize change without going into crisis mode. 7. Learning to harness the power of women and a diverse workforce is critical to addressing the upcoming talent gap. Even with artificial intelligence and other forms of workforce augmentation, participants projected a huge talent shortage now through 2030 and beyond. The size of this change is expected to grow from 2020 to 2030. Companies need to leverage the best talent to thrive. It will be important for companies to find ways to identify the right people and create a work environment that fosters attraction and retention and expands the old norms that caused talented people who wanted to work but not within restricted bounds to leave. As leaders in this era of turbulence, if we want to create a more prosperous and peaceful world, we need to look at new ways of leading and of identifying and developing leaders of the future. This is a call to action to revisit what you are doing now and how you can evolve your own approaches that enhance your ability to lead from a stance of authenticity. Are you learning from thought leaders, academics and practitioners? Each holds a piece of the complex solution we all need to thrive in the short and long term. 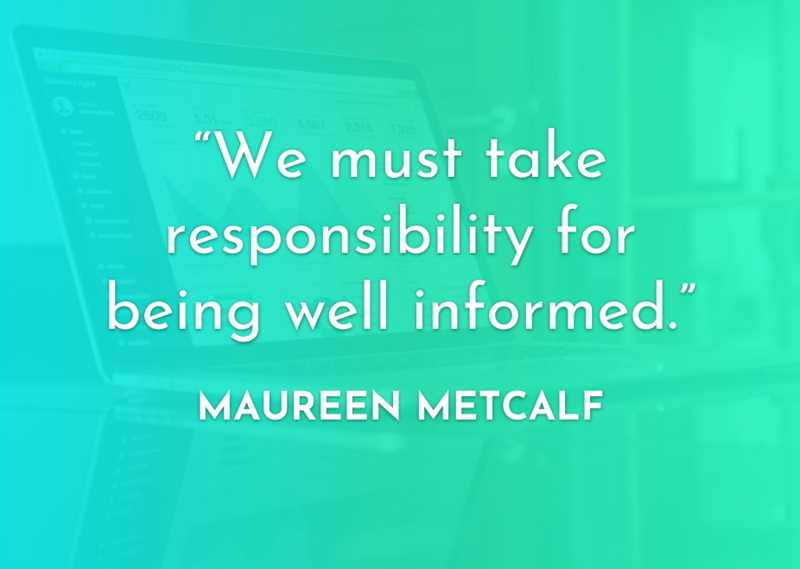 About the Author: Maureen Metcalf, CEO of the Innovative Leadership Institute, a renowned executive advisor, author, speaker, coach and consultant. This post is written by guest blogger, Nick Glimsdahl and is the companion to an interview on the Voice America show, Innovative Leaders Driving Thriving Organizations focusing on Conscious Capitalism with Mark Kovacevich focusing on Conscious Capitalism as a business accelerator. 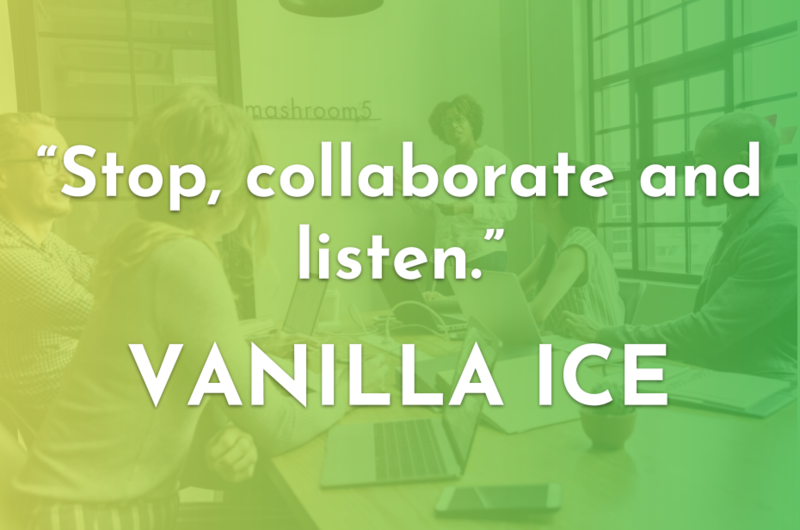 The great entrepreneur, Vanilla Ice, once said, “Stop, collaborate, and listen”. In today’s business environment, that sage advice can elaborate to: stop and evaluate your current state, collaborate with experts, and listen to your customers. Business leaders who champion customer-centric business models have stopped, collaborated and listened. And, in today’s digital age, being customer-centric requires a business model to effectively take advantage of current technologies to meet customer expectations. What is Customer Experience and why does it matter? A customer experience-centric model considers more than just key customer-company touchpoints; instead, the model considers the entire Omni-channel journey from the customer’s perspective. NPS® measures customer experience and predicts business growth. (i.e. 0-10 scale on how likely customers would recommend a business to a friend). CSAT measures how products and services meet or surpass customer expectations. A CSAT score is the sum of respondents answering between “Satisfied” and “Very Satisfied”. CES, measures customer service satisfaction with one single questions. (i.e. The company made it easy to handle an issue). Mature CX organizations monitor and understand the voice of the customer through these metrics. Why should business leaders get behind the CX movement? Brand loyalty is not what it was 20-30 years ago. A customer’s experience positively correlates to brand loyalty, and it is much more important because of the ease of switching service providers or ordering a product from Amazon. According to the Temkin Group, 86% of those who received excellent Customer Experience were likely to repurchase from that company, compared to only 13% of those who had a very poor Customer Experience. The trend of the increasing purchasing ease will continue as will customer-first business models delivering effortless experiences. The remaining question is what businesses will stop and evaluate their current states, collaborate with experts, and listen to their customers? Nick Glimsdahl is the Client Enablement Director for VDS. VDS creates effortless interactions. It helps improve the way enterprising businesses deliver customer experiences. With a 30-year history of delivering results, its success in creating effortless interactions is unmatched. 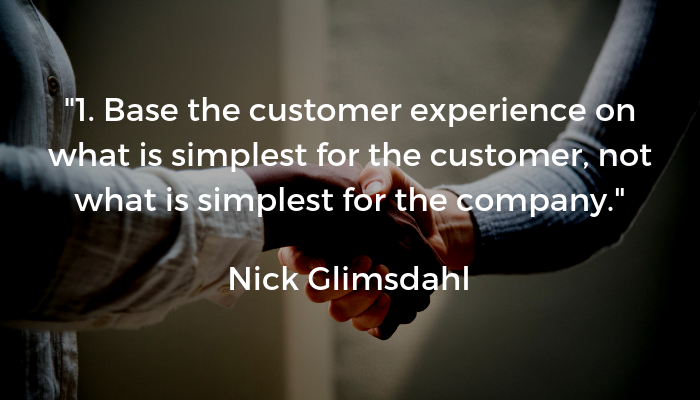 As a client enablement lead, Nick brings his clients the right communications solution: contact centers through (Genesys / Five9), business collaboration (Microsoft Skype) for Business, or enterprise telephony solutions so you can deliver the best customer experience. This is a guest blog by Greg Moran as a companion to the Voice America show aired on September 4, 2018, Leadership Happy Hour: Aspirations- Fuel for Results. This show was a conversation with Greg Moran and Terri Bettinger with host Maureen Metcalf. As a follow on to this discussion, I wanted to illustrate using my own life as an example. In May of 2016, I left a highly compensated job at a Fortune 100 company. Over the ensuing months, I did some consulting, began working with a fledgling startup and did the normal headhunter thing. I ended up picking 2 companies to interview with and received C level offers from both, the lower of which was a 30% raise from what I’d been making in my last job. I ended up turning down both job offers and taking a 90% pay cut from what I could’ve been making to join the fledgling startup. This seems like an odd move for a 51-year-old at the peak of his earning curve. So why did I do it? How can taking a pay cut and giving up all my resources as a C level exec be aspirational? Seriously, I went from having 2,000 people on my team (my team was large enough that I had a group that did nothing but report the operational data from my shop) to being one of the people that regularly take the trash out at a startup. For me, it is all about learning and growing. As I evaluated my future back in the summer of 2016, I realized that going back into a corporate role was not going to teach me anything – in fact the reason I got the offers is because I knew the answers to all the questions the CEO’s threw at me. I found I was experiencing a strong allergic reaction to re-entering the corporate world with little hope of growth. What excited me about the startup, now known as Wiretap, was the chance to not only work on a worthy product with a small group of people I trusted and shared values with, but also the chance to learn and grow. I was energized by the challenge of re-inventing myself as a professional who knew how to start a company and build a value chain from scratch. I was energized by the challenge of completely re-booting my professional network from a bunch of corporate staffers and the people that sold stuff to them to the people who fund and grow companies. I honestly knew nothing meaningful about that world. 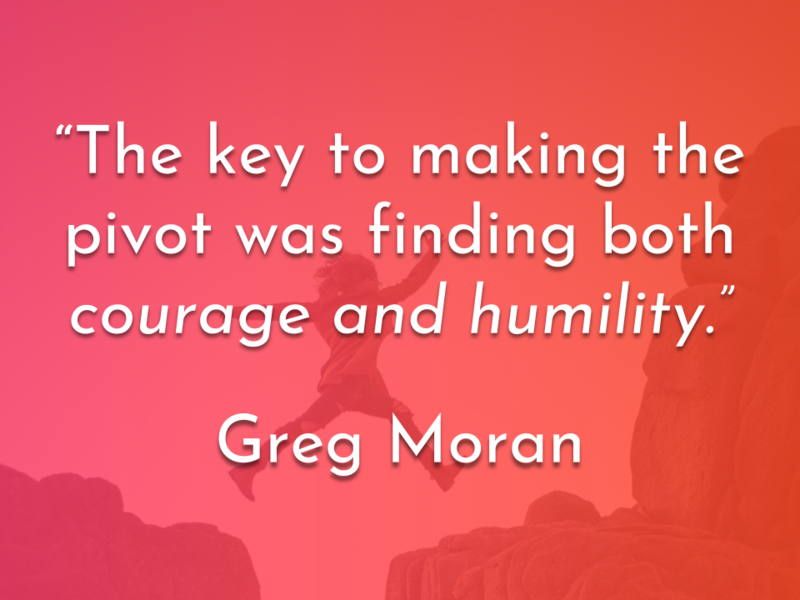 The key to this was finding both courage and humility. The courage was about believing – aspiring to successfully launch a company. The humility is about accepting the reality that any prior success or power/resources tied to my past positions and success were almost completely irrelevant in this new context. On top of that, I had to re-create all my mental models about risk, leadership, capital deployment, etc. So, how’s it going? IT.HAS.BEEN.AWESOME! …not because I’ve achieved some big pay day (that is not my goal – I would consider this pivot a staggering success if I broke even on my corporate career), but rather because I found once again the joy and power of aspiration when you don’t know the answers or even the destination. The power of not knowing the answers but believing you can find them. Feeling compelled to work hard to find the answers – not because they seem impossible (though sometimes they do), but because you believe in your soul that they are possible. Embracing the pressure of knowing that if you don’t solve the problems you face, then a lot of people you are on this journey with won’t get to experience the high of doing something that very few people truly get to do. We are giving life to a new organization – a community that has a unique culture and a set of differentiated capabilities that has never existed in the world before! I’ll pause there with this story, because there are many chapters to write and I must get back to work! If you are still unclear of the message, go back and re-read the Goethe quote 3 times. Cheers to a 2019 filled with aspiration in your life! Greg Moran is a C-level digital, strategy and change leadership executive with extensive global operations experience. He is the COO of Wiretap in Columbus and sits on the board of Koios Medical in NYC. He led corporate strategy for Ford and designed the plan that Alan Mullaly used to turn around the company. Greg held C-level IT positions in app dev, infrastructure and core banking applications at Ford, Nationwide Insurance and Bank One/JPMC, respectively. He began his career in consulting with Arthur Andersen/Accenture, working across industries with ~100 companies over the course of a decade. He is passionate about leadership and culture and teaches part time on the topic at Ohio University. With 2018 coming to a close, many of us are looking to 2019 and beyond. This article was originally published on Forbes.com in August 2018 summarizing the trends that emerged from the last 100 interviews conducted on Voice America Radio, Innovative Leaders Driving Thriving Organizations interview series. It is the companion to an interview between Christopher Washington, PhD and Maureen Metcalf Top Leadership Trends in 2018 and beyond. I host a weekly radio show that helps leaders update how they lead. The interviews are with key business leaders, global leaders, thought leaders, authors and academics. Each year, I publish the main themes we discuss on the show as well as in my consulting work with senior executives around the world. I have now completed more than 150 interviews, and volatility was a recurring theme. This article is a synthesis of what we can take away as key factors for leaders and executives to focus on for the next four years. 1. Leaders must pay attention to trends and predictions. 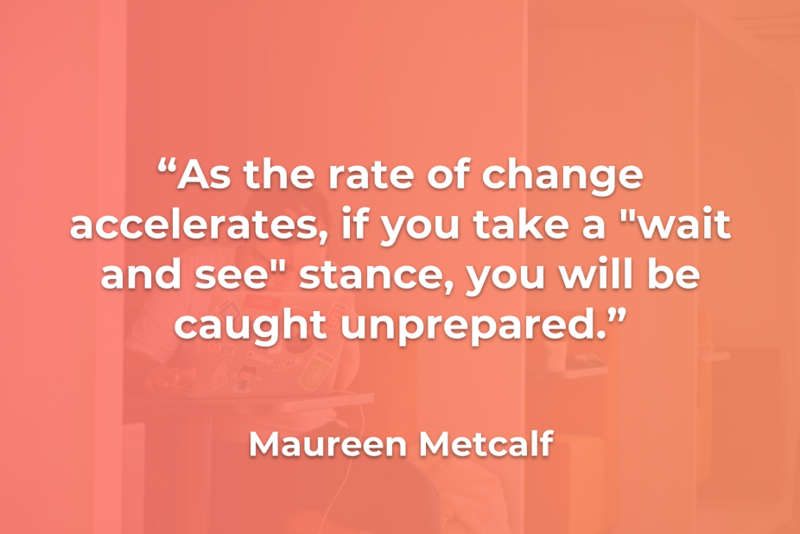 As the rate of change accelerates, if you take a “wait and see” stance, you will be caught unprepared. The intersection of volatility, changes in technology and global interconnection means there are threats and opportunities on all fronts and a large pool of organizations poised to leverage both. Speed continues to matter. 2. Leaders and their organizations are becoming agiler. As leaders, it’s important to adopt a nimble mindset and culture. Being nimble means paying attention to trends and identifying small “experiments” you can run to keep up with or even ahead of the changes happening around you. Once you are clear about what will work for you and how it will work, pilot that change. Truly agile companies are always experimenting. 3. Organizations and their people must accelerate their pace of learning. With an increase in agility, people and organizations will need to accelerate learning. In 1978, Harvard Business School Professor Emeritus Chris Argyris wrote Organizational Learning: A Theory of Action Perspective. This work continues to evolve and increase in importance, as learning provides a competitive advantage. Take, for example, how organizations are automating more work. Employees who continue to learn and update their skills will be able to find new roles, while others who are not continually learning will be left unemployed or underemployed as their roles diminish. 4. Age range in the workforce will continue to expand. As life expectancy continues to increase, many people will want to and need to work longer. Organizations will need to find ways to attract and engage older workers. They will also need to address the dynamics created when multiple generations of employees are working together on the same team. With the decrease of age-based seniority, leadership will be taken by the best person for the role and will likely shift frequently in an agile environment. Organizations need to be creative in promoting engagement and teamwork across multiple generations. 5. Leaders need to identify and build talent at an increasing rate. As technology evolves and organizations change more quickly, employees need to learn faster, and organizations need to identify workers to fill changing talent needs. Some of these needs will fall in the technology space, but not all. We referenced older employees remaining in the workforce and returning. We also need to find ways to engage talent who have been previously overlooked. This could mean people leaving incarceration, people with disabilities who would, in fact, be great fits for certain roles, or adults who work from home because they are caregivers to their children or parents, to name a few. 6. Employee engagement will continue to be important in volatile times. The importance of human interaction will continue to increase even as more of the workforce is working remotely – many rarely, if ever, meeting their colleagues. Leaders and organizations need to focus on soft skills such as emotional intelligence that have a strong impact on engagement and the effort employees put into communicating. 7. Communities must come together to solve quality-of-life and economic issues. With the level of change, segments of the economy can easily be excluded from the workforce. The gap between economic haves (those with education, access and resources) and have-nots can increase, and the cost can be significant for the individuals, families and businesses impacted by a worker shortage. Successful regions create organizations to tackle these challenges. This means organizations that traditionally compete for resources and clients also need to work together to solve challenges that impact them. 8. Effective leaders are conscious of their impact across a broad range of factors and stakeholders. As we talk about conscious capitalism, the main idea is that “conscious” organizations tend to the health of a broad range of stakeholders. It becomes increasingly important to pay attention to the needs of competing stakeholders and balance these demands. Conscious capitalism is one mechanism that helps leaders explore the broader range of stakeholders and understand their drivers. Business is getting more complicated and requires leaders to continually update their skills as well as their mindset and focus. This article summarizes some of my key learnings. As a leader, are you seeing similar trends? What’s missing? What are you doing to prepare yourself and your organization to succeed during the next four years? 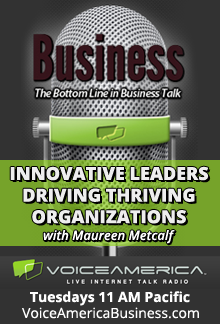 Maureen Metcalf, CEO of Metcalf & Associates is a renowned executive advisor, author, speaker, coach and consultant. This blog is a guest post by Simon Mac Rory as a companion to the November, 27 Voice America interview where he talks about his latest book, Wake-up and Smell the Coffee: An Imperative for Teams. While writing my recent book “Wake up and smell the coffee – the imperative of teams” all around me was the Brexit discussion. I could not pick up a news feed and not see something on the negotiations in terms of the UK position, the EU position and the Irish question. I must admit, despite a keen interest in the outcome, both as business person and an EU/Irish national living in the UK, I remain in a confused state as to what is happening. I cannot make head nor tail of the UK position! Observing the UK Brexit team and the confused narrative that emerges, I got to wondering how effective are they as a team? Do they have the capability for success? Brexit is such a critical issue for the UK overall and can even be viewed as the greatest existential threat to the UK since World War II, if the negotiations are not a success. I have attempted to map the Brexit team to the factors and criteria for an effective team. These are my views and generated as a distant observer (as I can only be). What do others think – does Theresa May and her Brexit team have the capabilities for success? The model I use is displayed below and is comprised of six factors. 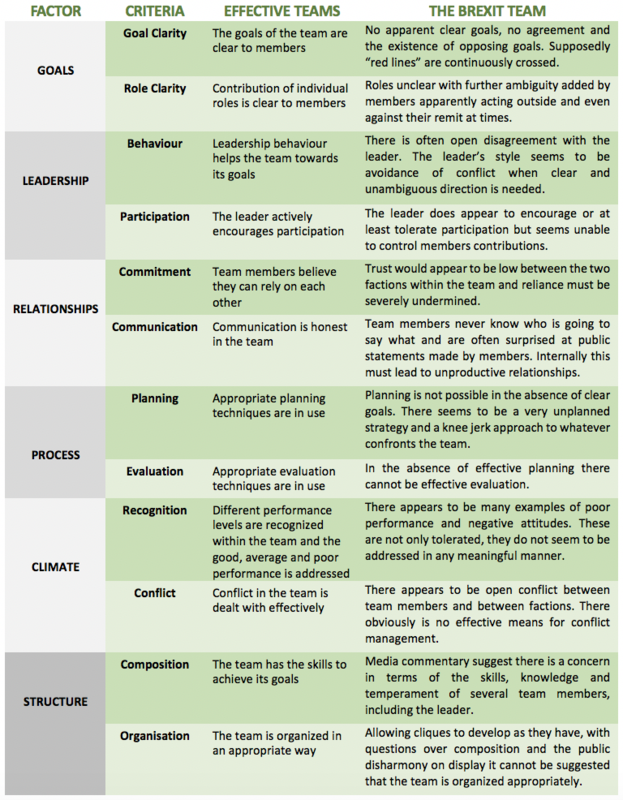 Each factor in turn contains two criteria that impact team effectiveness. In the table that follows I have given a brief definition of each criteria and my opinion of the Brexit team in relation to same. 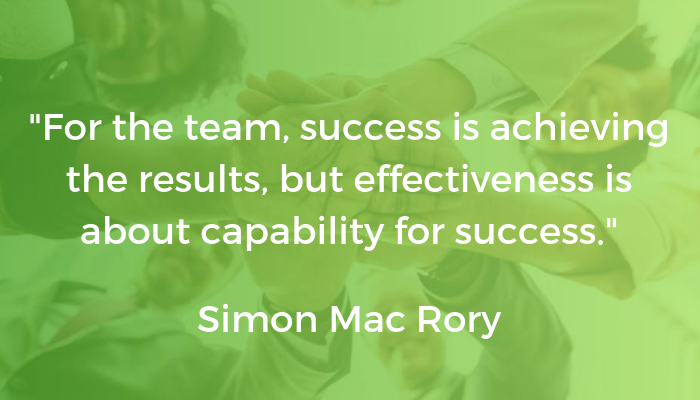 Simon Mac Rory is a specialist in team development. He works with senior staff leaders to help them discover that edge to becoming a truly high performing team. Over his 30-year career he has worked globally with a blue-chip client base in both the private and public sectors. operates the business from London with a Dublin-based development and support office. Simon received a doctoral degree for his work on the application of generic frameworks in organizational development and is a Visiting Research Fellow at Nottingham Business School. This blog is a guest post by Mark Palmer as a companion to the November, 13 Voice America show interview with Mr. Palmer, Managing Partner, Hire-Directions and Principal, Innovative Leadership Institute. The interview focuses on the Position Success Indicator assessment to help hone find where they fit professionally. The future of work is already here: the gig economy, automation, and artificial intelligence. These trends are part of a growing narrative that suggest an increasingly complex and unpredictable workforce. Studies indicate that by 2025, the global population will reach nearly 10 billion people, with only 15% of that population living and working in high-income economies. 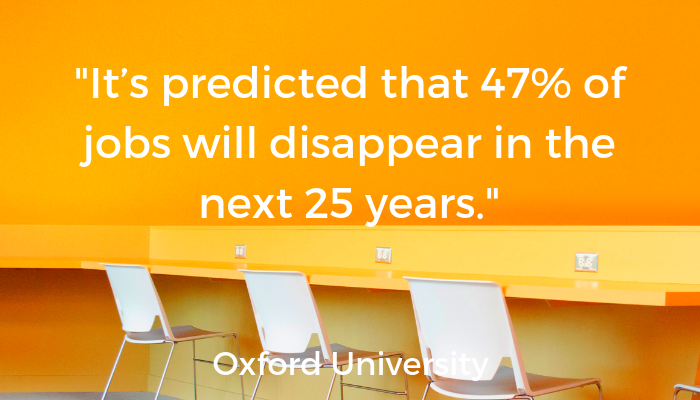 In fact, according to a recent Oxford Study, it’s predicted that 47% of jobs will disappear in the next 25 years. NEW PROFESSIONAL CHALLENGES ARE COMING…ARE YOU READY? Workforce disruptions already force you to make employment decisions faster, smarter, and more often than any previous generation of professionals. Consequently, the coming era of work will produce thrivers, strivers, and survivors. To thrive in this future workforce—and to navigate new realities while staying authentic to your dreams and interests—you will need a better way to prepare, respond, and adapt to a constant stream of occupational change. Two-thirds of your adult waking life will be spent creating and maintaining a livelihood. Your ability to make quality professional decisions, quickly and consistently, is more critical than ever. This ability to adapt and intelligently respond to new professional situations will require occupational fitness: the capacity to quickly identify the right opportunities, communicate how you add value, and consistently choose ventures that align with your strengths and competencies. “Quantified self”, or life-logging technology, has transformed the way we maximize physical fitness. If you’ve used an activity tracker or a DNA kit, you’re already familiar with how “quantified self” can be used to improve wellness goals. Using a new breakthrough called “talent DNA” sequencing, this “quantified self” technology can now be applied to support professional wellness, too. It builds on current life-logging advancements to accelerate occupational fitness, and can be used to enhance job matching and career mapping. Every person has a unique “talent DNA” code, or occupational talent signature made of  quantifiable performance markers. These markers correlate with specific job requirements used by organizations to build roles. The Position Success Indicator (PSI) reveals key professional knowledge—based on your exclusive “talent DNA”—that can be used to match you to the right jobs, build resumes, setup interview strategies, uncover career advancement opportunities, and enhance your networking capability. We encourage you to take the PSI assessment. You get free overview results and can purchase more detailed report. You can use the results of your report to take the actions recommended below and also use them when you listen to the interview with Mark. 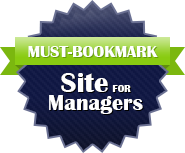 PSI reveals how you ideally fit an organization’s goals, team projects, and job requirements. You get precise, custom language needed to communicate YOUR unique value in ways that will speak to executives, clients, and venture partners. Our talent coding technology gives you the opportunity to personally make a difference in improving the future workforce by participating in a new kind of research—online, from anywhere. By taking PSI, you are contributing your unique “talent DNA”, thereby helping to build the world’s first generation talent genome library. This global “talent DNA” data repository will be used to enhance future workforce readiness, and to improve job design, job matching and recruiting. It will also optimize merit-based diversity, and protect workers everywhere from displacements caused by increasing job and market disruptions. Mark Palmer is co-creator of the Position Success Indicator; The Job Fit Calculator; and LaborGenome™ Talent Mapping technology. He is co-author of the Innovative Leader Fieldbook, and senior editor for the Innovative Leadership Guide to Transforming Organizations. Mark is also a consultant, and Principal and Advisor with the Innovative Leadership Institute., a management consulting firm offering progressive leadership development, team building and organizational effectiveness. He was also a TEDx OSU Speaker in 2012. What Does the Future of Work Look Like? When this country began, our hunter-gatherer, farming ancestors worked to live. Not a single iota of energy was wasted in a day. Wasted time equaled starvation. In this new century, our country is working from the fruits of the industrial revolution, the robotics revolution, and the technology revolution. Just as our ancestors might have wondered what the future held in working, we are living their future and wondering about our own. What exactly does the future of work look like? The worlds of industry, commerce, healthcare, education, and many others are fluctuating, which is causing considerable anxiety. Labor-market opportunities between high- and low-skill jobs, unemployment and underemployment, stagnating incomes for a large proportion of households, and income inequality demonstrate that the job market is already trending toward the future. Automation and artificial intelligence promise higher productivity, economic growth, increased efficiency, job safety, and convenience. But these technologies also have a broader impact on jobs, wages, skills, and the nature of work itself. Lots of tasks that workers handle today could be automated. Simultaneously, job-searching sites like LinkedIn and Monster are altering and increasing the ways people look for work and how companies recruit talent. Freelance work has become very enticing with digital platforms like Uber, Upwork, and Etsy making working for yourself much easier. Another newer trend, especially in tech companies, is remote and virtual employees. This not only allows things to get done around the clock, without commuting, but also provides companies with employees who have hard-to-find skill sets and is a way to accommodate employees who don’t want to move to work for the company. These shifts in how jobs are done as well as how talent is recruited create both uncertainty and benefits. One of the biggest questions is what role automation will play. Through current technology, about half the tasks people are paid to do could hypothetically be automated. It is encouraging to note that less than 5 percent of all jobs consist of tasks that could be completely automated. But, in about 60% of professions, at least a third of the tasks could be automated, which could lead to workplace transformations and redefinition of job duties for workers. Taking a look at current technology and estimating how quickly automation could replace human workers, only about 30% of hours worked globally could be automated in the next decade. The impact of automation on employment depends greatly on occupation and job title. Automation jobs would most likely include physical ones in predictable surroundings, like making fast food or operating factory machinery. Data collection and data processing are two other jobs that have the potential to be done better and faster with machines. This particular AI innovation could displace hundreds of workers in mortgage origination, accounting, paralegal work, and back-office transaction processing. There are, of course, jobs that absolutely require human labor forces, such as management, scientific research, and customer service. So, will the displaced workers have to change careers to keep a job? What Job Sectors Will Sustain or Grow Their Numbers? Displaced workers are easily identified, but new jobs that are created due to advancements in technology are less obvious and exist in different sectors and regions. Experts estimate that, globally, 250 million to 280 million new jobs could be created due to rising incomes on consumer goods, with an additional 50 million to 85 million jobs created in health care and education spending. In 2030, researchers estimate there will be at least 300 million more people aged 65 and older than in 2014. As people age, their spending on healthcare and other personal services increases, taking their consumer dollars out of retail and luxury purchases. This will increase new demand for doctors, nurses, and health technicians, as well as home-health aides, personal-care aides, and nursing assistants. There could be 50 million to 85 million new jobs in healthcare by 2030. And let’s not forget the jobs created by the development and implementation of new technology. Spending on technology will double between 2015 and 2030. About half the spending would be on information-technology services. This could create 20 million to 50 million new jobs by 2030. Even with substantial growth in technology and AI, there are still jobs that require human labor: architects, electricians, engineers, carpenters, and construction trades. The world is also increasing its interest in renewable energy, so there will be more jobs in renewable energy, like manufacturing, construction, and installation of new energy options. So, it’s possible for a former auto factory worker from Detroit could be retrained quite efficiently in manufacturing for renewable energy. But, what would that training entail? The next decade will bring a diversified world of education and training options where various entities design and deliver services to those who want to learn. They expect that some innovation will be aimed at emphasizing the development of human talents that machines cannot match and at helping humans partner with technology. They say some parts of the ecosystem will concentrate on delivering real-time learning to workers, often in formats that are self-taught. Also, more learning systems will go online. Workers will be expected to learn continuously. Educators have always found new ways to train the next generation of students for jobs of the future. Will training for skills most important in the jobs of the future work well in large-scale settings in upcoming years? Improvements in education are expected to continue. But, many of the most vital skills are not easy to teach, learn or evaluate in any educational setting. Those skills, capabilities and attributes include emotional intelligence, curiosity, creativity, adaptability, resilience and critical thinking. The skills needed to succeed in the future are curiosity, creativity, taking initiative, multi-disciplinary thinking and empathy, skills that machines cannot yet demonstrate. While the traditional college degree will still be a necessity in the near future, more employers may be willing to accept alternate credentialing systems because traditional college is becoming less popular. Online learning is the education of the future. Employers will also begin to consider experience and skill sets over education. It is likely that employers will appreciate a college degree, as it does demonstrate a willingness to attain goals with determination and discipline. However, those characteristics can also be demonstrated in the workplace. Deeply detailed reference letters may begin to carry more weight than a college degree. Jobs of the future may change too quickly to allow today’s workers to get up to speed in time to fill positions. Many workers are unable to take on or unwilling to make the self-directed sacrifices they must to fine-tune their skills. This leads educators to emphasize STEM learning (Science, Technology, Engineering, and Math) in our public schools. Teachers and politicians are working to ensure the next generation is well-trained in technology in the hopes of staving off a job market starving for qualified candidates. There is a loud cry in the job marketplace that advances in technology will overtake the time it takes to train new people. Many see a society where AI programs and machines do most of the work. There is no doubt there will be many millions more people and millions fewer jobs in the future. But, if industry does a good job increasing skills training, technology may not quite take over at the rate many see as inevitable. Regardless of automation and AI, there will always be a need for a human labor force. While robots and smart computers can take over some menial tasks, as well as cognitive driven tasks, humans will be required to maintain and program our artificial workforce. Anna Kucirkova works as a copywriter for over 4 years. She speaks 3 languages, loves traveling and has a passion for kids and writing. While she has been to many places in Europe and South East Asia, she still wants to explore the rest of the world. 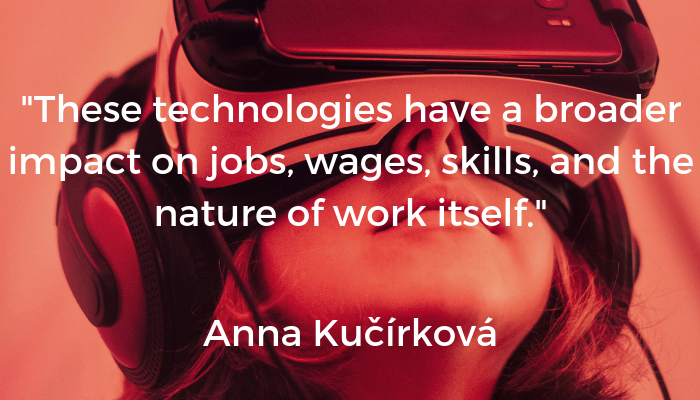 https://www.innovativeleadershipinstitute.com/wp-content/uploads/2018/11/Anna-Kucirkova-Future-of-Work-11-8-2018.png 400 700 Maureen Metcalf https://www.innovativeleadershipinstitute.com/wp-content/uploads/2018/10/logo.png Maureen Metcalf2018-11-09 08:00:332019-01-29 14:48:48What Does the Future of Work Look Like? This post by Nick Glimsdahl is the companion to an interview with Michelle Harrison, CEO of Kanter Public, the WPP Group public policy consulting and research business, on Voice America where she talks about the first of its kind report that Kantar Public released at Davos focusing on the challenges governments face across the planet and how the current loss of trust impacts their ability to navigate current challenges. Everyone — including me — is vying for your attention. We live in a noisy world, bombarded by advertisements, news, campaigns, emails, messages, and social media notifications. So, how can a business build trust and credibility in today’s noisy world? This deceptively simple, relevant question is up against a distrusting world. In America specifically, the state of trust is dire. The Edelman Trust Barometer’s Executive Summary reports, “It is no exaggeration to state the U.S. has reached a point of crisis that should provoke every leader, in government, business, or civil sector, into urgent action. Inertia is not an option, and neither is silence…no work is more important than re-establishing trust” (p. 7). Rather than feeling overwhelmed, business leaders should take a strategic approach to build trust and create positive brand awareness to help ensure messages are received. While increasing revenue is vital to a successful business, focusing on revenue without prioritizing content, awareness, and trust is futile. Hence, a company’s first priority should be to make sure customers view its content, marketing, and brand as credible, trustworthy, and customer-centric. Building a trustworthy brand results in many benefits. In fact, according to Forbes, trust is the most powerful currency in business. Beyond being a currency of its own, trust leads to referrals, stronger collaboration, a stronger business, and the ability to work through challenges internally or with a client. Building trust requires time — a currency of itself; however, as the most powerful currency, trust requires the utmost attention for a company to reach its highest potential. Leaders Must Now Think Like Scientists To Leverage All Generations! I had lunch with colleagues today to discuss the changes they are facing in their organization. Among the opportunities they see, one stands out: succession – involving multiple generations and different ways of working into one highly successful organization. To fully leverage this opportunity, the organization will need to continue to evolve their agreements about work processes while holding fast to the foundational principles that have kept them successful for decades. This is a common challenge across industries. In response to our conversation, I wanted to share this Forbes article (see text of the article below) I wrote in September 2016 and a Voice America interview focusing on Leading with Vision: A Key to Successfully Attract Millennials. The reason I selected this combination is, while there are rules of thumb about how to work across generations, every organization is different with specific applications that will work for them. Leaders must take the broad concepts about generational difference and determine which ones apply to them. They need to continually experiment and learn to ensure their enterprise continues to grow and thrive and remains a great place to work. One key for me – everyone in the organization needs to find a common way to work together, this requires give and take from everyone! 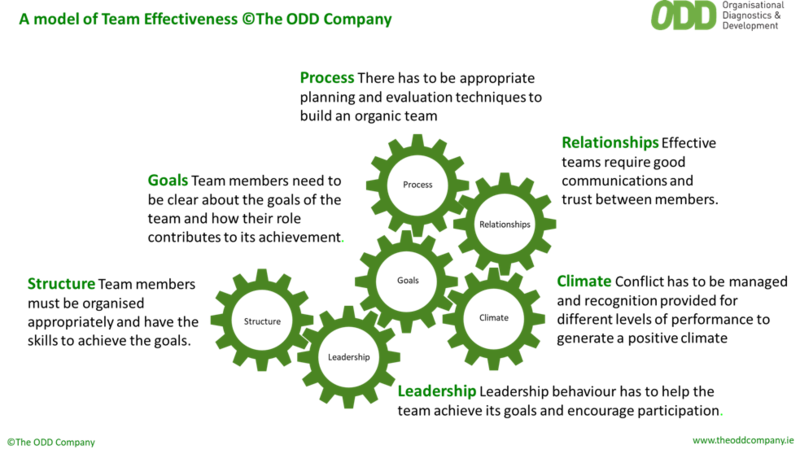 During the industrial revolution, leaders managed effectively using command and control and leveraging best practices to solve problems that were common across multiple industries. Now, however, the most effective leaders work more like scientists. They scan best practices, but also create competitive advantage by creating new and innovative solutions in the face of chaos. Take Bill, a recent client who runs a mortgage firm in the U.K. June’s vote to exit the EU has thrown the British economy into uncertainty. Rates are dropping and the forecast is uncertain. Bill doesn’t know which direction the market will go, how fast, and what actions will be most effective. He looked to thought leaders before the vote and learned that a true Brexit was unlikely. Well, it happened, and now he needs to move forward and make the best of the uncertainty. The change might even be good for him if he makes the right calls. Many leaders, like Bill, are facing unprecedented challenges. In the past, they could look to best practices and study what others in their industry were doing. Now, in many situations, leaders need to respond immediately, but there is little time to study and no prior model with the same level of complexity that provides a low-risk solution. As leaders, we weren’t trained for this. We were trained to set a vision, build a plan, and work the plan. With the advent of such changes, companies are responding with strategies like “cross-functional” teams, “early delivery,” and “continuous improvement.” Terms such as “fail fast” — which tell us we need to experiment and learn faster than our competition — have become popular. Learning fast differentiates us from our competitors who are still looking for the best practices. In reality, we are the ones creating the next round of best practices. But many of us are still stuck between the old ways and new ways of leadership. We haven’t fully embraced what it means to be a leader today and now. First and foremost, we need to rethink our role. We need to change our mindset and behavior from directing to experimenting while realizing that as leaders in complex times, we are creating new solutions rather than drawing from the past. In many situations, history will determine what was right, but if we expect to know it before we take action, we will be paralyzed. One of the most difficult challenges for leaders isn’t changing behavior (that’s the easy part) — it’s changing how we think of ourselves. It is easy to say, “I will act like a scientist,” but when someone comes in with a challenge and the leader has no idea how to proceed, this is a moment of truth. The leader without an answer will likely feel embarrassed and frustrated. The scientist, on the other hand, might actually be excited about the challenge. 1. Get the best people together for specific opportunities. The members will be dictated by the challenge. It is critical to have people with differing points of view. The people who disagree are often the most important to help identify blind spots and unanticipated challenges. The size of the group and the duration of discussions and evaluation will depend on the time required to respond. The participants should be from multiple geographies, functional departments and organizations. 2. Formulate a hypothesis. The group pulls together all of the perspectives and crafts a clear hypothesis of how to proceed to generate the best overall outcome given the resources, goals and constraints. 3. Formulate experiments. Using the hypothesis as the foundation, it is time to craft experiments that test the hypothesis. Experiments should be designed to prove or disprove the initial hypothesis and give enough information to support taking informed action going forward. The goal is to position the organization to take timely action, minimize risk, and maximize positive impact and learning and scale intelligently based on learning. 4. Conduct the experiment. Once the experiment is crafted, it is time to execute. This usually looks like implementing a well-defined pilot with clearly articulated metrics designed to prove or disprove the initial hypothesis. This is also the opportunity to identify barriers to proper execution. 5. Evaluate, learn and refine. One of the keys to experimentation is to learn as much as possible from each experiment to build success. This is where you will harvest your learnings form the measures as well as barriers or challenges that arose. I work with a client who formerly worked as a physicist for NASA and now runs an organization heavily impacted by technology change. The culture of his organization is one of experimentation because it is natural to him. When I walk into his office, I see remnants of physical experiments, like a part of a drone, and the tone of the entire organization is open and excited. The physical space is one of the worst I have seen, so it isn’t the architecture but rather the tone of the leader. The leader’s mindset permeates the culture and the organizational systems. People are rewarded for launching new programs and eliminating those that are less effective. Moving toward this mindset of experimentation allows us to master transformation and build the capacity for ongoing “renovation” of our organization. If this ability to respond quickly becomes a core competency of the organization, because of the mindset of the leader and the resulting culture, organizations are positioned to thrive. For leaders who take on the mindset of the scientist, experimentation becomes fun, they drive interesting innovation, and they inspire others to do the same. 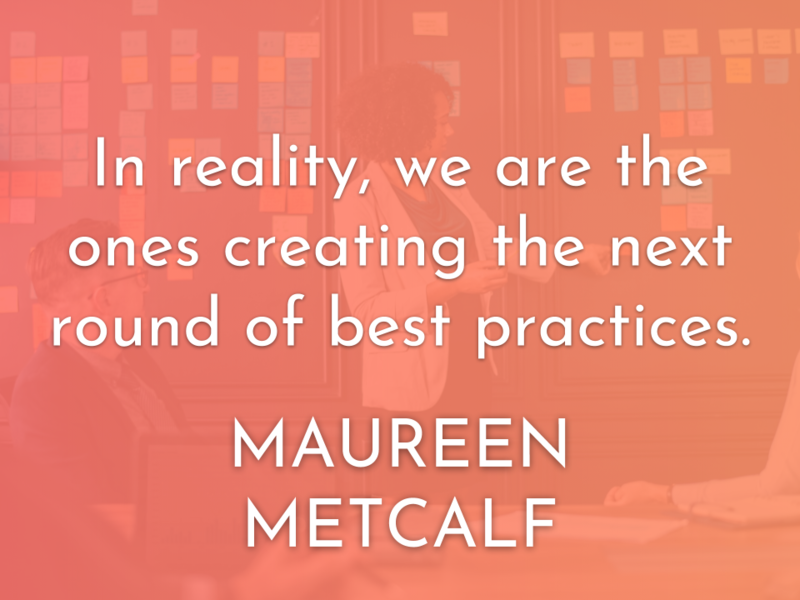 https://www.innovativeleadershipinstitute.com/wp-content/uploads/2018/08/Metcalf-Scientist-Post-8-27-2018.png 720 960 Maureen Metcalf https://www.innovativeleadershipinstitute.com/wp-content/uploads/2018/10/logo.png Maureen Metcalf2018-08-28 16:28:112019-01-29 14:54:26Leaders Must Now Think Like Scientists To Leverage All Generations!